This was, for me, an exciting project. 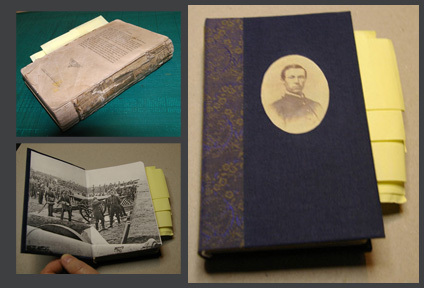 A 19th century book—and a family heirloom—was broken and needed a new beginning to hand down to future generations. I reconstructed it using a marine blue linen with a marbled spine. 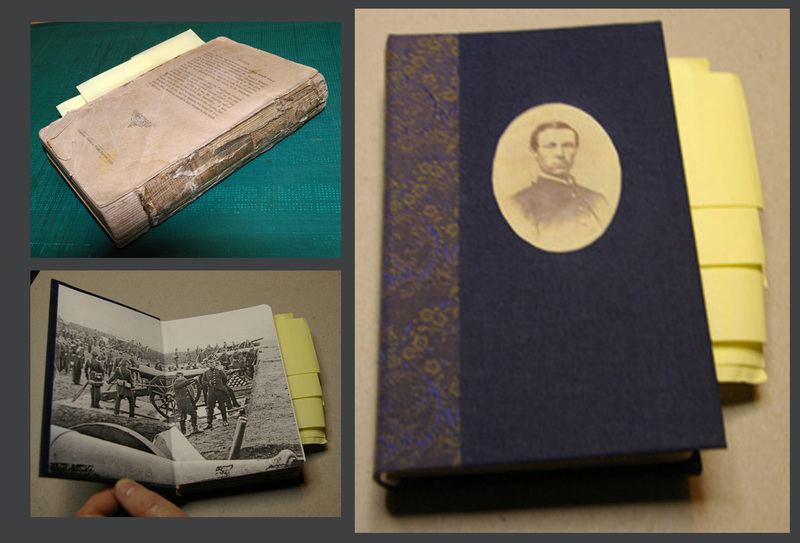 The client provide me with period photos from his ancestors' archives, which I used as end papers, to bring the book together. To personalize the cover, I added a cameo of their ancestor on the front. Would you like us to preserve a family heirloom and make it better?